Marinate chicken cut with the satay marination paste. Skewered into the bamboo stick. Marinate in the chiller for overnight to get the right taste. Grill over the griddle to tender. 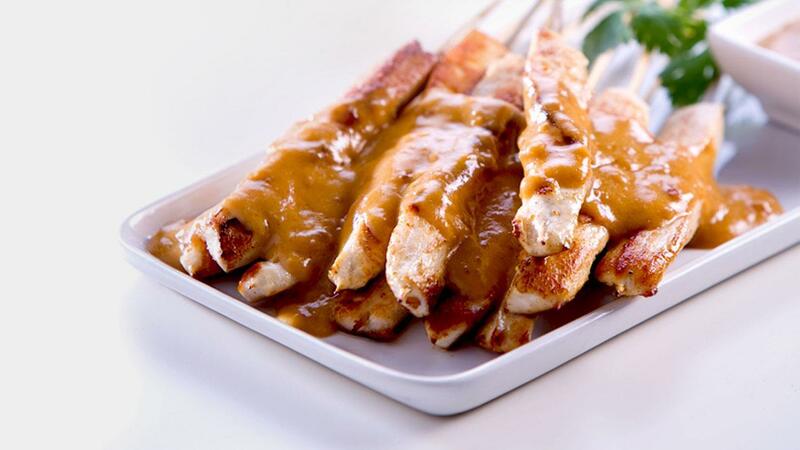 Pour satay sauce over the skewered chicken. Serve the chicken satay with compressed rice, cucumber and sliced onion.